JAMMU: Even as National Conference vice president Omar Abdullah has said that it is too early to get into details of stitching a possible alliance with their ‘natural partner’ Congress, sources have affirmed that interlocutors from both parties are in disagreement on seat sharing arrangement. “The discussions are at preliminary stage, the Congress is more interested than NC but seat sharing appears to be an emerging problem”, said a source familiar with initial discussions. Unlike the 2014 model, the Congress compulsion required going into each other’s acclaimed bastion, which NC is not interested in. The Congress is reported to have indicated to stand for a seat each in three regions asking National Conference to contest one in Jammu region on which opinion in the latter camp is split. Congress is eyeing at Ladakh, Kathua-Udhampur-Doda and Srinagar seats, leaving National Conference to context South Kashmir, North Kashmir and Jammu-Poonch. The National Conference is believed to be uncomfortable with the idea of leaving Srinagar seat for a much tougher contest on the Jammu-Ponnch seat. The Srinagar seat is currently held by NC president Dr Farooq Abdullah who had won this in a highly controversial by-election in 2017 in which just a little over 7% of voters cast their votes on a bloody polling day costing eight lives. Farooq polled around 48,000 votes and defeated his PDP rival for around 10,000 votes. When practical negotiations take place between the two parties, Congress would want National Conference to concede the Srinagar seat to Tariq Hamid Karra who had defeated Farooq Abdullah in 2014 as PDP candidate. In 2016 Karra quit PDP and also resigned from the Lok Sabha to “protest” the alleged atrocities in civilians following killing of Hizb militant Burhan Wani. He had later joined the Congress and has since been vying for a bigger role in the party. The Jammu-Poonch seat, which Congress would like the National Conference to contest, is currently held by BJP’s Jugal Kishore Sharma and is comprised of 20 assembly segments. In 2014 assembly elections, the BJP had won 13 of the 20 segments, NC and PDP shared each while Congress could claim only one seat. Meanwhile, a day after Congress president Rahul Gandhi was reported to have told his colleagues to explore alliance options in Jammu and Kashmir, Omar Abdullah said Sunday that it will be premature at this time to talk about any pre-poll alliance for the upcoming Lok Sabha and Assembly elections. 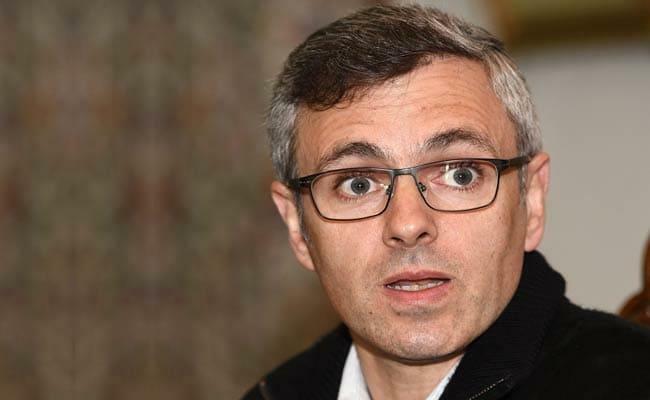 Omar said, “Farooq Sahab has had no discussions with colleagues about any possible alliances so it would be premature for NC to react to this statement. Rahul was reported to have said that Congress was in favour of entering into electoral alliances wherever possible so that secular parties collectively take on the Bharatiya Janata Party (BJP). It has been reported that Rahul has asked PCC chief G A Mir to explore possibilities of the alliance in Jammu and Kashmir for both Lok Sabha as well as Assembly elections. However Omar has showed a cold shoulder to Rahul’s offer.